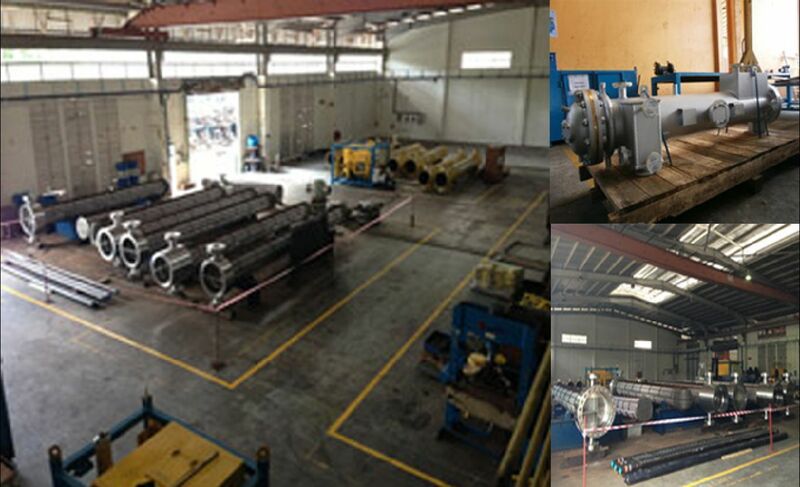 At SPCO, we provide several types of series tube bundle which are commonly used in process, petroleum, chemical and HVAC industries and can be found in boilers, condensers, HVAC systems, hydraulic systems etc. They are designed for efficient transfers in the form of absorption or dissipation of heat from one fluid to another fluid. We can customize the heat exchangers based on their flow arrangement as per your request. Two fluids enter the exchanger at the same end, and travel in parallel to another end. Fluids enter the exchanger from opposite direction. Fluids enter the exchanger from perpendicular direction. Our shell and tube heat exchangers are typically used to withstand high pressure above 30 bar and temperatures above 260 °C. We will consider the tube material, diameter, thickness, length, pitch, corrugation, layout (triangular or square) in the thermal design features. The most common type of Shell and Tube design is the segmental baffle where it helps reduce vibration, sagging for long length tube, ensure accomplished mixing and assist flow direction. Our design comes in 1, 2 or 4 pass tube side setup. Material to be used can be carbon steel, stainless steel, copper alloy, Inconel, Nickel, Hastelloy and Titanium depending on the type of system requirement. 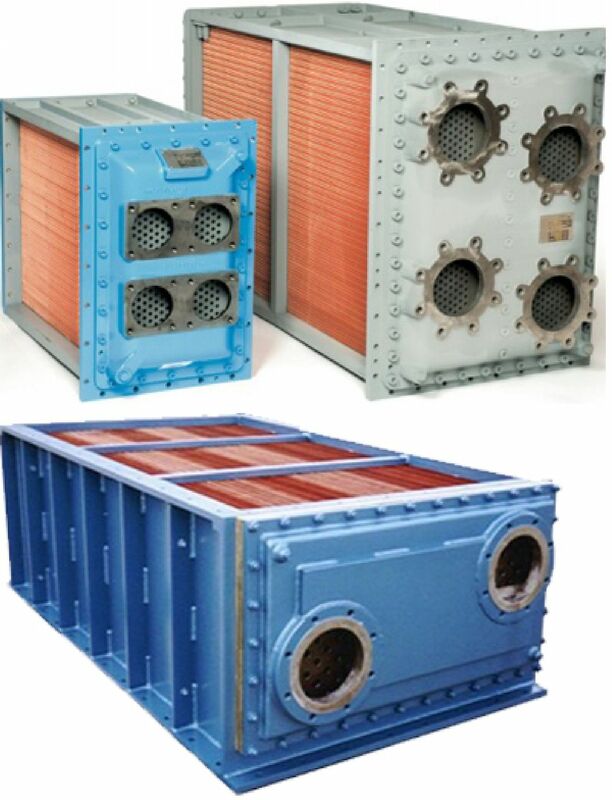 We provide you our professional advice on the type of heat exchanger to achieve optimal heat transfer function and efficiency to suit your needs. We also provide support for refurbishment such as cleaning, re-tube, re-fit, hydrostatic test, NDE test and recertification. Our experienced servicing team provides detailed and carefully executed Removal and Retrofit plans and ensure that any removal or retrofitting are accomplished in the safest and most productive manner onsite. We execute a string of chemical cleaning process which involves de-greasing, de-scaling, neutralizing, ultra-sonic cleaning and high pressure washing to ensure that the tube bundle are cleaned of all chokes, blockages and impurities. We always perform a detailed testing regime which includes NDE test and hydrostatic test before chemical cleaning to ensure that your heat exchanger is operating at maximum potential. All testing certification may be provided upon request. Our main engine air coolers are used to lower the temperature of compressed air inducted through turbo charger and ensure optimal running efficiency and engine performance. It consists of fin, tube, tube sheet, casing and water chamber. Our team of designers, engineers and technicians always do their best to meet your expectations to deliver a suite of services such as design, manufacture, repair, re-tube, re-fit, cleaning, hydrostatic test, NDE test and recertification of the air cooler to achieve the maximum output for your engine performance. Cleaning of air cooler is executed in a string of chemical cleaning process which involves de-greasing, de-scaling, neutralizing, ultra-sonic cleaning and high pressure washing to ensure that the tube bundle are cleaned of all chokes, blockages and impurities. Our plate heat exchanger comprises of multiple, thin, slightly separated corrugated metal plates compressed together in a rigid frame that has very large surface areas which allow fluid flow passages for indirect heating and cooling between transfers of two fluids. It is preferred over conventional heat exchanger as the fluid is exposed to a larger surface area due to the design of the large corrugated thin metal plates which facilitates the transfer of heat, and greatly increases the speed of temperature change. Also, for the same amount of heat exchanged, the size of the plate heat exchanger is smaller, because of the large heat transfer area of the plates. Increase and reduction of the heat transfer area is simply through the addition or removal of plates from the stack. Design calculations of a plate heat exchanger include flow distribution, pressure drop and heat transfer. It is engineered with post-commissioning service in mind and spare parts availability. Stainless steel material is commonly used for the plates due to its strength, corrosion resistance and ability to withstand high temperatures. 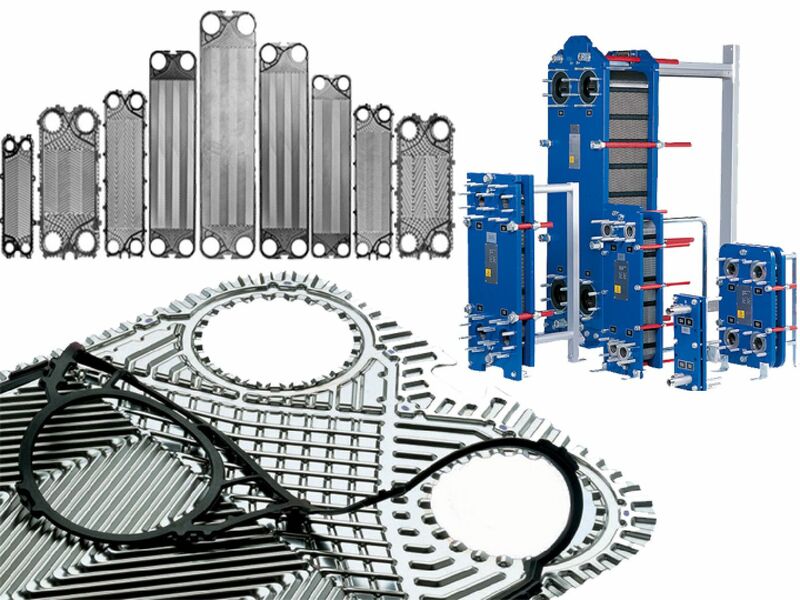 We provide you our professional advice on the type of plate heat exchanger to achieve optimal heat transfer function and efficiency to suit your needs. We also provide support for refurbishment from high pressure washing, chemical cleaning, re-fit, hydrostatic test, NDE test and recertification. Cleaning of air cooler is executed in a string of chemical cleaning process which involves de-greasing, de-scaling, neutralizing, ultra-sonic cleaning and high pressure washing to ensure that the plates are cleaned of all impurities. 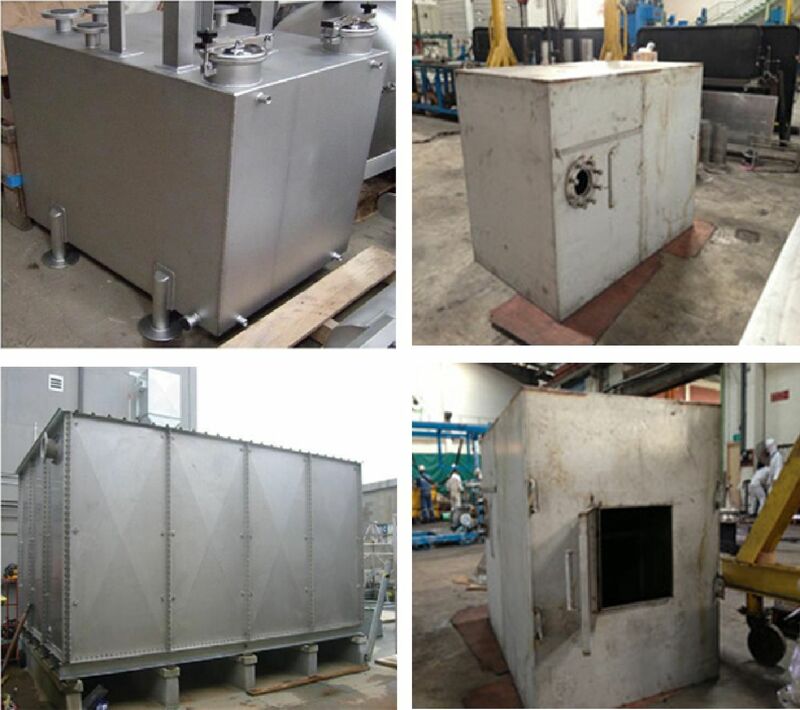 We always perform a detailed testing regime which includes NDE test and hydrostatic test before chemical cleaning to ensure that your plate heat exchanger is operating at maximum potential. All testing certification may be provided upon request. Skid structures are fabricated to accommodate motor, pump, tank and the other auxiliaries. They are mostly fabricated from mild steel or stainless steel. Skid base frame can be integrated with removable drip pan to collect oil and chemical depending on system. Structural materials can be either hot dip galvanized, painted or as per requirement. Load testing and NDE can be conducted as per requirement. Tanks are fabricated for storage of liquid, oil or chemical which need to be injected. Normally, tanks are horizontal cylindrical with dished end or vertical cylindrical with flat/conical/dished bottom and flat/dished top or of rectangular construction as per requirement. Material of construction can be SS316L, EH36 or as per requirement. Tanks can be painted and pressure tested as per requirement. Copyright (c) 2017 SPCO HOLDINGS.